The Great British schism: Is this the beginning of the end for Europe? History is often defined by narrow margins, and it was the narrowest of margins that heralded the end of the UK’s membership in the EU project. Fifty two percent of voters across the UK voted ‘Leave’, meaning that today, the European Union will cease to exist as we know it. The detonation of Brexit will have repercussions far and wide across the remainder of European countries, particularly those of the periphery of Europe’s ‘core’ members. There have already been calls in Scotland, for instance, for another referendum to whether or not remain in the UK. Scotland always favored EU membership by a majority of 62%. In countries such as Greece, Brexit is likely to further weaken the already tenous European ties, and rumors of a ‘Grexit’ are now afoot. Greece took a severe financial punishment, mostly inflicted by Germany, in the wake of the country’s monetary woes. In the wake of Brexit’s results, the British Pound has taken a hammering, sinking to a 31-year low. Shortly after the outcome of the referendum became known, the currency’s parity against the dollar was $1.3 -a fall of more than 10%-, something not seen since 1985. Brexit also meant that the FTSE 100 index plunged 500 points, before somewhat recovering later on. There have been diverse reactions to the UK’s exit from the EU. Politicians in Germany have said that it’s a ‘sad day for Europe, and the UK.’ Donald Trump, however, cheerfully claimed that it’s a ‘great thing that the British have taken back their country.’ Here, a spokesperson for the Government said that Brexit “clearly has very significant implications for Ireland, as well as for Britain and for the European Union”. The next step in the process is for the UK to submit a formal resignation letter to the European Council. When will this happen is unclear, but once it does, a two-year period of exit negotiations will commence. 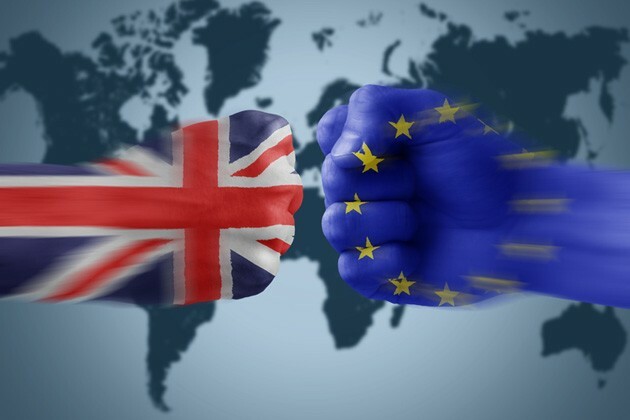 The UK’s wilful termination of EU membership signifies a momentous landmark in European history, one that has rocked the very foundations of the continent. We may well be witnessing the beginning of Europe’s disintegration. There are shrieks of paranormal activity aplenty highlighting the release of The Conjuring 2 in cinemas worldwide. A 65-year-old man reportedly died inside the cinema last week while watching an early screening of the new horror flick. And here’s where things got interesting: The man’s body was sent to another facility for a post-mortem, but neither the body, nor the person transporting it, ever made it to their final destination. The corpse’s vanishing act has sparked rumours of supernatural influence by things that go bump in the night, particularly after a video emerged of a woman supposedly became possessed while watching the same film somewhere in South East Asia. Rumors of a film’s ‘curse’ are nothing new, of course, and it’s usually little more than a marketing ploy to promote a sub-par movie. This is not to say that The Conjuring 2 is average, but the director and producers are surely relishing the extra publicity surrounding the film. Some tragic news this morning, as it has been confirmed that 27-year-old actor Anton Yelchin has passed away after a freak accident involving his own vehicle. Yelchin, who starred in movies such as the cult horror flick Green Room, Terminator: Salvation, and the Fright Night remake, was found pinned by his car against a pillar in the driveway of his home on Sunday morning. It is understood that the young actor got out of the car momentarily, and the vehicle rolled back, trapping him. It is not known why Yelchin moved behind the car. An only child, Yelchin was born in Russia in 1989. His parents, both professional figure skaters, brought him to the US as a baby. He was perhaps best known for playing the role of engineer Pavel Chekov of the USS Enterprise in the hugely successful reboot of the Star Trek franchise, the third installment of which is due out in July this year. Tributes have been pouring for the young star since news of his death first broke.